With the official start of summer only five days away and summer trips already underway, we thought we would share with you some of our staff’s favorite vacation destinations. Ranging in draw from serene and isolated to lively and dense, our staff’s go-to get-away locations are sure to inspire even the most seasoned traveler. It might not be as exotic as some other places, but what makes it unique is the combination of architecture and well-maintained urban beaches. You can literally go swimming downtown in front of the John Hancock Center. The water is clean – they thoroughly maintain it because Lake Michigan is their fresh water supply. There are also many non-beach things you can do in Chicago, and many beautiful contemporary and historic buildings to see. It is basically NYC with (arguably) better architecture and cleaner streets and beaches. Specifically, Tokyo & Kyoto or, if there is time, get up to Sapporo and down to Naha. All of Japan – its history, culture, architecture, etc. – can be found in these cities. The summer weather is never unbearable, crime is unbelievably low, and there are things to do 24/7. Public transportation goes everywhere – trains in Tokyo, buses in Kyoto. In Tokyo, check out the Edo-Tokyo Museum, Meiji Shire, Ginza shopping district, Harajuku (for the costumed locals), Ueno Station Museums, Palace Gardens (when available), Yokohama Bay Bridge (observation deck under the bridge at the midway point) Ferris Wheel and tower and, of course, after an all-nighter in Roppongi, the freshest sushi is available at Tsuiji Market. Then take a 200+ mph bullet train southwest to Kyoto. There are plenty of big tourist spots, but the Gold and Silver temples are a must-see, as is the Yasaka-no-to Pagoda near the center of town. This, of course, just scratches the surface of what there is to do in these historic cities. Central Coast, California: We have made a few trips here over the years. We go here for the natural beauty of the landscape and the great weather in summer (yes it’s hot, but it’s a dry heat). We love wine and the area in and around Paso Robles offers numerous great, small boutique wineries, many offering tastings during the day. We took this photo from a hilltop vineyard during a sunset tour at Tablas Creek Winery. Cape May, New Jersey: Both my wife Karen and I are pasty-faced whities, so we are not naturally inclined towards the beach in the summer. That said, we love coming to this historic seaside resort town and have made doing so an almost annual tradition. The town is quaint, historic and walkable. We love exploring it on bike or foot, admiring the many Victorian, Stick and Shingle style houses and inns. We always stay at the historic Chalfonte Hotel, pictured here. You can’t beat their southern style cooking, especially the breakfast buffet: scrambled eggs, biscuits and fried fish! Marrakech, Morocco (Submitted by Intern Architect David Aybar) What fascinates me about Marrakech can be summarized in a simple word: contrast. I find it incredible that just after a short flight from my native country of Spain, you can be in a world so strikingly different not only in terms of architecture, gastronomy and religion, but also in the flow and philosophy of everyday life. If I had to recommend a site to visit, it would definitely be the Ksar of Aït-benhaddou, a vernacular Mud Brick city on the edge of the High Atlas Mountains. It is on the UNESCO World Heritage List and has been featured in many films, including Lawrence of Arabia, Gladiator and Game of Thrones. A meal not to miss: lamb in any of its versions in the world famous square, Djemaa El-Fna – a vibrant food night market in the ancient wall of the city’s medina quarter. After 36 years at DMSAS (and school before that), 90%+ of all infrequent vacations have revolved around looking at buildings, but sometimes one just has to get out in the backwoods, onto the water and eat some lobstahs. On Mount Desert, you find the sublime combination of hiking, sailing, vistas, ocean, seafood, ponds, kayaking harbors and Somes Sound, the only fjord on the east coast of North America. 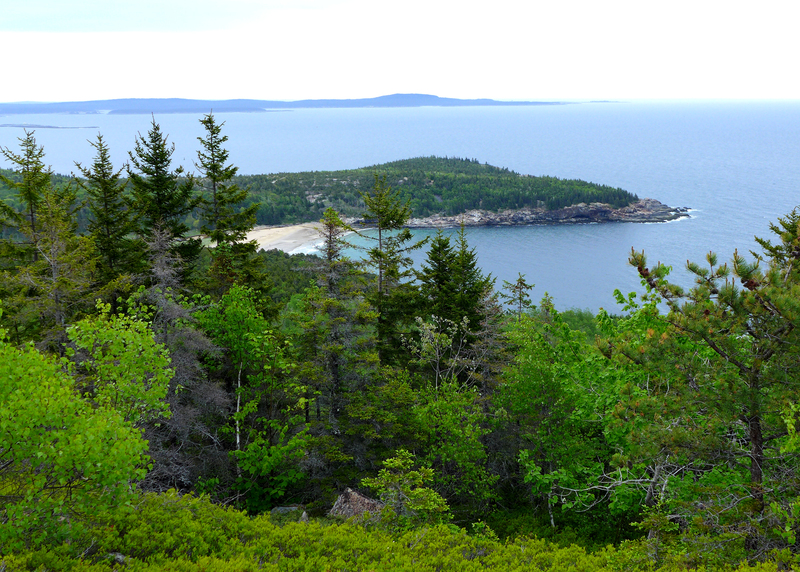 The island is home to a diverse landscape featuring, as seen in the above image from the summit of Mt. Gorham (near to far): Sand Beach at Newport Cove, Great Head, Mount Desert Narrows and Schoodic Point on the Schoodic Peninsula. PS – Some culinary advice: Veuve Clicquot Ponsardin is an excellent pairing with steamer clams and butter. My family often spends our summer vacation in Southern Vermont. We mostly spend our days hiking to fire towers or swimming in rivers, lakes, quarries, and other watering holes. One of our all-time favorites is the Dorset Quarry – an abandoned marble quarry now ideal for swimming and jumping from the rock ledges. Dorset is enticingly inviting on a hot summer day, though a little less so during the winter. Evenings often involve long dinners at small country inns. Vermont provides a very different environment, and welcome respite, from our year-round neighborhood in a very vibrant section of downtown Washington, DC. We would love to hear about your favorite getaway spots! Feel free to share them with us in the comments below or on Facebook or Twitter.